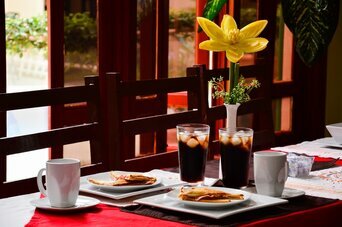 Hotel Fotherhouse, is located in one of the residential areas of San Salvador, Colonia San Benito. Immediate to the main centers of Tourism, Cultural and Commercial Activity of San Salvador. We have 23 spacious rooms designed to offer comfort and privacy. We have a beautiful pool, ample recreation area, MED SPA service, spacious lobby, closed and covered parking, security 24 hours a day.